Welcome to the Fabulous Florida Keys! 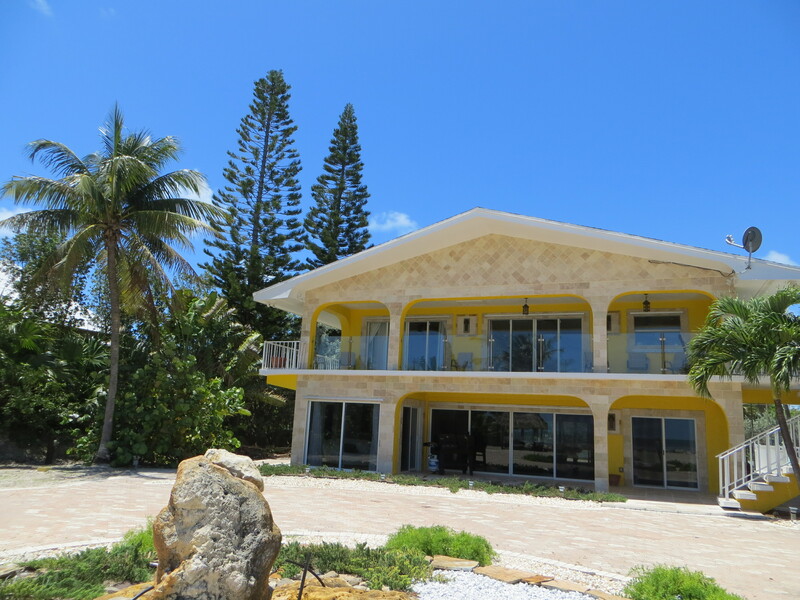 Find Your Florida Keys Vacation Rental or a New Home! If you are a newcomer to the Florida Keys, a Seasoned Commercial Investor wanting to develop or start a new business, or just looking to buy an affordable piece of paradise; my personal goal is to provide you the information needed to make a financial decision that fits your budget. If you need any assistance, or have any questions, please don't hesitate to call Guy, your "Keys Property Guy", of RE/MAX Marathon Vacation Real Estate direct anytime at 305-393-3004. If you are looking for Florida Keys Commercial Waterfront Property, Florida Keys Waterfront Investment Property, or Florida Keys Waterfront Vacant Land; these links will provide you with up-to-the-minute Florida Keys M.L.S. Listing Data on each of these areas. The Florida Keys M.L.S. Links below are for Florida Keys Waterfront Real Estate & Vacant Land Only. For individuals wanting to start a business in the Florida Keys, develop a piece of property in the Florida Keys, and/or want to find Florida Keys Local Community information, the following Links will help you out, with information for each of Monroe Counties local areas such as Communities Characteristics, Population, Household Data, Education Data, Housing Numbers, Transporation info, Income, Employment and Net Worth; Cost of Living, Climate and Crime statistics. If you are looking for Florida Keys Commercial Property, Investment Property, or Vacant Land; the below links provide you with up-to-the-minute Florida Keys M.L.S. Listings on each of these area's. These Florida Keys M.L.S. Links are for NON Water-Front Florida Keys Real Estate & Vacant Land Only. In the next section you will find all Florida Keys Waterfront lnformation for the same areas. These Florida Keys M.L.S. Links were created for the prospective Real Estate Buyer who is interested in acqiring a parcel of Florida Keys Waterfront Property within a budget target amount. The advantage to these links is you can see all the Florida Keys Waterfront Real Estate that is currently available, throughout the Florida Keys, in a set price bracket, with a single click! Please feel free to visit the Keys Property Guy web site daily to see the latest Key Colony Beach Real Estate Listings, Key Colony Beach Single Family Home sales,Key Colony Beach Condos, and Key Colony Beach Short Sale Real Estate and much much more. As we all know Key Colony Beach which is located in the Heart of the Florida Keys is a Vacation Hot Spot for people that are looking to rent a nice Waterfront Home, Half Duplex, or Condo. They come here to enjoy all that Key Colony Beach has to offer in the way of nice restaurants, Sport Fishing, Beautiful Beaches and so much more as there is alot to do in this city! So whether you're here just for a short vacation or to purchase a Waterfront Home, Duplex, or Condo, I think you'll find that you have to look no further! Come on down and try our fishing, diving and site seeing, you'll probably forget all about going home! Come check out this amazing Direct Oceanfront Luxury Get-A-Way for yourself. If you are looking for a Florida Keys Real Estate website that offers detailed, comprehensive, property information that is easy to navigate, I know that you will find the Florida Keys Real Estate infomation detailed here extremely accurate and most informative. You can browse our Florida Keys M.L.S. by property type, short sale or bank owned real estate; look for vacant land to build a home, or find the Florida Keys Waterfront piece of real estate that you have always been searching for. If you are just looking for a Florida Keys Condo or a non-waterfront piece of real estate, then you will find that this web site was designed to help you easily navigate through our Local M.L.S. listings. You will also have access to Florida Keys Home Values from Key Largo to Key West, access to Florida Keys information on each of our island's and assist you in your home purchasing efforts. I am certified in Commercial and Residential Property Analysis and would be honored to assist you in anyway necessary. Our Florida Keys Islands are a string of islands just off the tip of South Florida's Mainland and runs approx. 118 miles from end to end. We are a tourist oriented community that specializes in Rest and Relaxation. We are the Sport Fishing Capital of the World and people come from all over the country to Charter Fish, Scuba Dive, or just relax in the sunshine. Key Largo is just a quick hour and a half from the Miami Airport. Florida Keys Vacation Rentals are readily available in any price range to fit any budget and run from weekly to monthly, depending on the location. Key Largo, the largest of the Florida Keys, is approx. 30 miles long and was originally called Cayo Largo or Long Island by the Spanish. This island was famous in 1948 where scenes from the Movie Key Largo were shot; starring famous actors like Edward Robinson, Humphrey Bogart, and Lauren Bacall. Key Largo has a nice tribute to this era located at Mile Marker 100. The Steamboat from the classic film "The African Queen" which also starred Humphrey Bogart and Katherine Hepburn is on display. Today, however, the Florida Keys are much more acknowledged as the "Diving Capital of the World" and for a good reason, as we have so many underwater attractions to see. The Nations first underwater park, John Pennekamp Coral Reef State Park and Key Largo National Marine Sanctuary are here, and include approx. 190 square miles of coral reefs, seagrass beds and mangrove swamps. We have over 600 species of fish and 55 types of coral, not to forget our wonderful variety of shorebirds and native wildlife that is constantly changing. Key Largo's John Pennekamp also provides a nice base for offshore snorkeling, diving, glass bottom boat rides, boat rentals,canoeing, kayaking and much more. Tavernier, located below Key Largo, was probably named for it's popular drinking establishments that were highly favored with the "Wreckers" of the 19th century. This town has more then 50 historic buildings ranging from railroad stations to small family churches that date back to the early 1900's. Popular attractions in this area include John Pennekamp State Park located at Mile Marker 102.5, the Key Largo Princess located at Mile Marker 100 and B&B Theaters Tavernier Cinema 5, located at Mile Marker 92. Islamorada, is noted for being the "FISHING CAPITAL OF THE WORLD" and provides the perfect point for World Class Deep Sea and Back Country Fishing. So popular in fact that notable figures like Former President George Bush and may others come back year after year to challenge their talents on the open seas. Islamorada also provides access to some of the Florida Keys' most fascinating archaeological and historical features. You have the wonderful Fossil Reef Geological State Park, in Windley Key. Here you will see beautiful coral formations that made the Florida Keys what they are today, many years ago. You also have the San Pedro Underwater Archaeological Perserve State Park which is the final resting place for one of the 21 Spanish Galleons that sank in a 1733 Hurricane. Other Islamorda points of interest are, the Lignumvitae State Botanical Site which is the highest spot in the Florida Keys at 18 feet above sea level. It was named for one of the hardest woods in the world "The Tree of Life" and is home to a Coral Rock Home that was constructed in 1919. Close by also is the Indian Key Historcal Site that once was the Home of the Dade County Seat and a Wreckers' village that was burned by the Seminole Indians in 1840. Islamorada's name (islas moradas) translated as "Purple Isles" was provided by the Spanish Explorers, but differences of opinion still exist today about it's origins. Heritage aside, it's still the Fishing Capital of the World and the lure of those gamefish that give Islamorada it's greatest appeal today. Here you can experience World Class Sport Fishing year around, and with a wealth of Marina's offering charters and boat rentals for the novice to the experienced angler. Here you better be ready to "Meet Your Catch". Marathon, located approximately halfway between Key West and Key Largo, Marathon is truly the heart of the Florida Keys. The Middle Keys are also the home to one the region's largest city and airport, as well as many historical treasures. The City of Marathon incorporates the islands of Grassy Key, Crawl Key, Fat Deer Key and the largest Key, Vaca Key, which was named by the Spanish for it's abundant population of manatees (also known as sea cows). Vaca is spanish for the word cow. Marathon was home to New England fishermen who plied its waters in the early 1800's, to Bahamian farmers in the later part of the 19th Century. This later gaveway to a large community of railroad works. The tale is still told that the name Marathon is directly related to the mammoth task facing Henry Flagler's construction crews as they set out to build a bridge across seven miles of open water. The old Seven Mile Bridge, located at the West End of Marathon, now provides tourists a route to Pigeon Key, which holds a small group of family-oriented museums and natural historical displays. This area is also a very popular area for watching the sunset, walking or biking, and has been a favorite place to bridge fish as well. The area around the Middle Keys also is a very popular place to Sport Fish, Snorkel, and Dive. On the Ocean Side popular area's like "Marathon West Hump" attracts Blue and White Marlin, Mako Shark, Blackfin Tuna, and other prize gamefish. On the Gulfside the shallow water offers a wide assortment of natural ledges, artificial reefs, and wrecks that are prime locations for chasing down Mangrove Snapper, Spanish Mackerel, Tarpon and Cobia. You can wrap up your visit of the Marathon area with a visit to the Dolphin Research Center on Grassy Key or with a trip on one of the area's prized party boats, boat rentals, or just hang out on beautiful Sombrero Beach and you may never want to leave. Big Pine and Lower Keys, extending from Bahia Honda Key with it's incredible sandy beaches through Big Pine Key, all the way to Stock Island, there are many attractions that keep people coming back year after year. Bahia Honda State Park is a beautiful place to explore for the day or camp for the weekend and has one of the top rated beachs in the United States. You then cross over the Spanish Harbor Keys to the Islands that make up Big Pine Key which holds the Famous Key Deer National Wildlife Refuge. These distant relatives of the Virginia White-tailed deer stand only about 2 feet high when fully grown. The current population of these amazing animals has climbed to approx. 300 thanks to conservation efforts. Also nearby, are the Great White Heron Wildlife Refuge, Watson's Hammock Nature Preserve, and the Blue Hole, which is the largest body for fresh water in the Florida Keys. Looe Key Reef, which is about eight miles off-shore, is a popular diving site. Named for the H.M.S. Looe, a British ship tht wrecked in 1744. The Florida Key's newest artificial reef, the Adolphus Busch Sr., quickly has become a favorite location for a varity of marine life. It is a 210 Foot Island Freighter and named after the Patriarch of the Busch Brewing family. This boat was intentionally scuttled in December of 1998 in 100 feet of water and currently sits halfway between Looe Key and the American Shoal; or about 5 miles southwest of Big Pine Key. Key West, known in the best of times as America's richest city per capita in 1889, and in the worst of times as well, as it declared bankruptcy in the 1930's. It's historic visitor's range from Spanish Explorer Ponce de Leon to the railroad magnate Henry Flagler. President Harry Truman also vacationed here in the "Little White House" on Front Street. It has also been a haven for creative individuals to escape such as Robert Frost, Ernest Hemingway, and Tennessee Williams. Being a focal point of conflict during the Civil War, Spanish-American War, and the Cuban Missile Crisis; this island has got more then it's fair share of attention. Standing at it's southern most point you are actually closer to Havana Cuba (90 Miles Away) than to Miami, Florida (150 Miles Away). Key West has a mulitude of Shipwreck artifacts and memorabilia and is rich with historic sites such as Old Town. Because the island is very compact many of the homes and buildings now function as restaurants, inns, and museums. Duval Street, which bisects Old Town, is often called the longest main street in the world; because it goes from Coast to Coast "The Gulf of Mexico to the Atlantic Ocean". A block away you have the famous Hemingway and Audubon homes that are located on White Street; as well as the Key West Light House and many many more attractions. In Key West all roads lead to the Famous "Mallory Square" where crowds of people gather nightly for the World-Famous Sunset Celebrtations! You can come here daily to see a smoragasbord of street performers, vendors, artists, musicians, and merrymakers. It is an experience that you will not want to miss. From the Atlantic Ocean to the Gulf of Mexico, the Florida Keys is a place that prides itself on it's history and traditions, not to mention it's unique architecture. It has attracted fortune hunters, artists, poets, writers, and an odd assortment of others for many years. First encountered by Europeans in Ponce de Leon's 1513 expedition, the Keys were named Los Martires "the martyrs" because the islands consisted of twisted, tortureous strips of land that were surrounded by turquoise waters. For three more centuries they were inhabited only by Native Americans and opportunistic pirates such as Gasparilla and Black Caesar, who plundered ships that passed nearby. The first Spanish settlement in the Keys was Cayo Hueso, the Isle of Bones, so named because explores found the remains of a vast Indian graveyard. The British later Anglicized Cayo Hueso into Key West. The islands are now called "keys". the name is from the Spanish word "Cayo" meaning a low flat island. There are over 800 Keys in the Florida Keys and many are wildlife sanctuaries owned by the state and federal governments; and only 30 are inhabited by people. The land belonged to the Spanish until 1821, when Juan Pablo Salas sold it to John Simonton, a business man from Mobile, Alabama, for only $2,000.00 Dollars. Key West was founded in 1822, and by the 1850's grew to about 2,700 people. Most came from New England and the Bahamas to work as "Wreckers", salvaging millions of dollars of cargo from ships that went aground on the reef. About once a week, a ship would run aground and the cry "wreck ashore"could be heard throughout the town. Wreckers would race out tho the reef to salvage the ship and it's lading. Cargoes included everything from gold, silver, china, tea, lumber, cotton, laces, silks, rums, to fine wines and elegant furniture. By 1830 Key West was the richest city per capita in the entire United States and was so for about 50 years. In 1856 alone, the 2,000 residents split almost $400,000 in booty. That would equal $7,000,000 in todays marketplace. In 1869 refugees from a Cuban civil war poured into Key West. Amoung them was the worlds leading cigar manufacturing center with 166 factories producing 100 million cigars a year, each rolled by hand. Later this businees moved to Tampa. The next industry to arrive was sponging, once grossing $750,000 annually. Sponges from Key West were shipped to New York and became known as superior to those from the Mediterranean. A natural disaster, called a red tide, killed Key West beds in 1910 and the sponge business collapsed. The remainder of the Keys were essentially uninhabited until the last quarter of the 19th century, when hardy settlers began to carve out homesteads in what one writer described a "worthless" chaotic fragments of coral reef, limestone and mangrove swamp". They braved swarming mosquitoes and built homes from driftwood and shipwrecks cast offshore. They grew pineapples, coconuts, key limes, and other tropical crops that were then shipped to Key West as well as Northern ports. The next major state in the Florida Keys development came in 1905, when railroad magnate Henry Flagler vowed to extend his Florida East Coast Railway south form Miami to the excellent deep water port of Key West. Seven years later, in 1912 the first train steamed along the entire length of "Flagler's Folly" proving to the skeptics that it could be built. Flagler, his goal achieved, died 16 months later. Disaster struck September 2, 1935. A fierce hurricane packing 200 mile per hour winds pushed an 18 foot tidal wave across the Upper Keys, washing out the tracks and killing more then 800 people. The only thing left standing was an angle hat had marked a grave in an Islamorada cemetary. To reconnect us with the mainland, the Overseas Highway was constructed directly on the old railroad bed. It opened in 1938. If you drive to Key West from Florida City, many of the bridges you see next to U.S.1 are the original railroad trestles. Wth all the industries, except fishing, now gone and the closing of a large Navy Base, people started moving away from Key West. During the Great Depression the population dropped from 23,000 at the turn of the century to only 11,000 and 80% of those were on relief! By 1933, Key West was unable to pay the salaries of city employees and actually went bankrupt. The richest city in the salvage days was now the poorest city in 1933. In 1933 the Federal Emergency relief agancy announced that it would transform the island of Key West into a tourist mecca - America's only Caribbean Island. The first step will be to build an Aquarium and make it the tropical city's first tourist attraction, and it worked. By the end of that first season, Key West had already attracted 40,000 tourists. Today, much of the Florida Keys maintains an old world feeling. You'll find it's evidence in excellent museums and parks, and around may corners in Old Town Key West. A place that once you visit you'll keep coming back year after year! Whether you're looking for your first Florida Keys Home, your Florida Keys Dream Home or a Florida Keys Investment Property, I'm committed to providing you with the highest quality buyer service. When making the type of investment that buying a home requires, you deserve to have all the latest market information and the very best advice, both of which I can provide you with. The decision to sell your Florida Keys Home or Florida Keys Investment Property is often dependent on many factors. Whatever your reasons are for selling, my proven effective marketing strategies will ensure that you get the highest possible price for your home. I guarantee to provide you with professional, ethical and confidential service and keep you fully informed every step of the way. Read more. Florida Keys Real Estate for Sale has more then just property for sale.